We are looking for the most engaged sports enthusiasts worldwide who will help us spread the word about our brand and help us change people’s lives through sports. 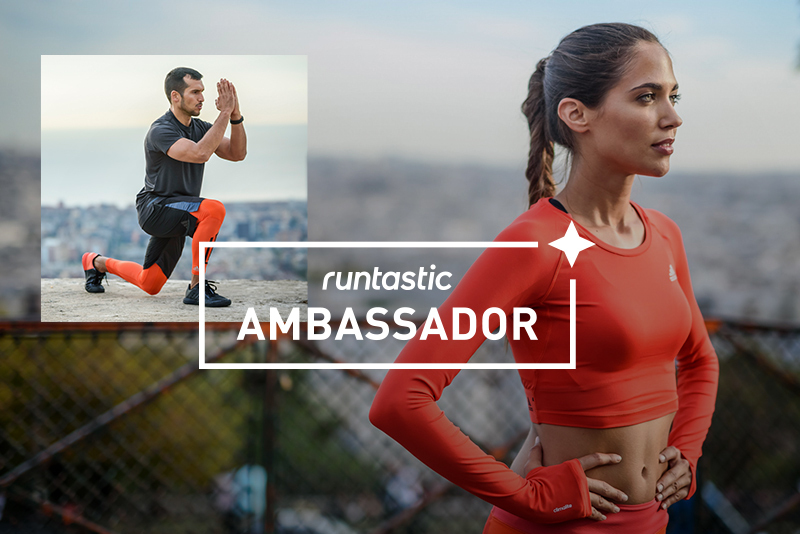 Runtastic Ambassadors will be our representatives in the respective countries who will regularly organize sports events, activate and moderate the digital community, have access to our products and new features before launch, and take part in exclusive opportunities. We want to hear from those of you who love using Runtastic apps and want to join our team of enthusiastic ambassadors, to spread the spirit of a healthy lifestyle in your country and inspire others to be fit, reaching beyond their own limits! As an ambassador, you will promote our brand in your country by interacting with our online and offline communities, organizing sports events, and participating in our communication campaigns. You will also have the opportunity to test and get to know our products better. A natural leader. Experience in sports coaching is a big plus. Be an enthusiastic member of the multi-national team of Runtastic Ambassadors. Stay informed about all future Runtastic app/product launches, local events (if applicable), and other communication topics. Represent our brand and support marketing activations at competitions, trainings, events, or expos. Manage the regional Runtastic Facebook Group, engage proactively, and drive growth. Post Runtastic-focused content on your social media at least 5 times per month (Facebook, Instagram + Insta stories). Send reports and check in every month with your respective Marketing Manager. Opportunity to take part in the exclusive adidas Runners events. Runtastic was acquired by the adidas Group. Therefore, you will be required to wear only adidas, Reebok, or clothing without any visible brand when posting on social media during the time of your ambassadorship. You will also not be allowed to take part in any promotional campaign or ambassador program from any other competitor brands to adidas or Runtastic during the Runtastic Ambassador Program. These include: Nike, Under Armour, asics, Puma, Lululemon, The North Face, New Balance, Saucony, Skechers, Salomon, Brooks, Mizuno. Is Your Low-Carb Diet Hurting Your Workouts?